Fall has been off to a rough start in our house. My husband had a serious back injury in September and the past month has been physically exhausting. I’ve been doing my best to keep everything and everyone on track and in the process, I’ve become totally overwhelmed and feeling like I was a mama underwater. I also felt really emotionally lost, worrying about my husband’s future health and trying to find hope when life was really tough. One simple thing that helped during this tough time, has been making space for simple joy. While we’ve been in a rough place, we had to seek out simple joys that kept our hope and love going. On a recent weekend, I took my kids to the pumpkin patch. My husband couldn’t walk so I had to take them alone and honestly, I was really sad about having to do our annual family tradition without him but he pushed us to go. 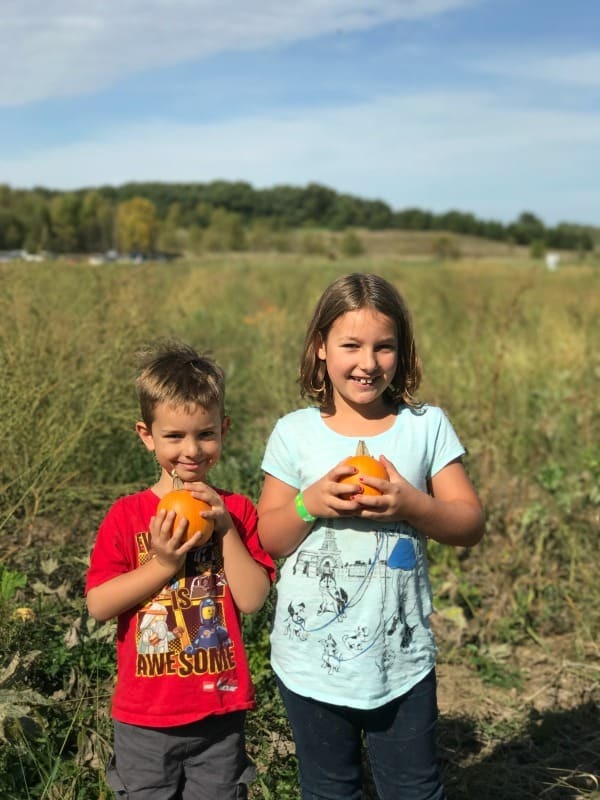 I took the kids out to their new favorite restaurant, Pizza Ranch, and we visited the apple orchard and pumpkin patch at Pine Tree in White Bear Lake. You guys, I can’t remember when I had that much fun. We had no deadlines and just took our time doing everything. We snacked on caramel apples, rode the ponies (the kids, not me), and took a wagon ride. The kids each picked out some special baby pumpkins and now the pumpkins are in our kitchen and remind me about that special day. 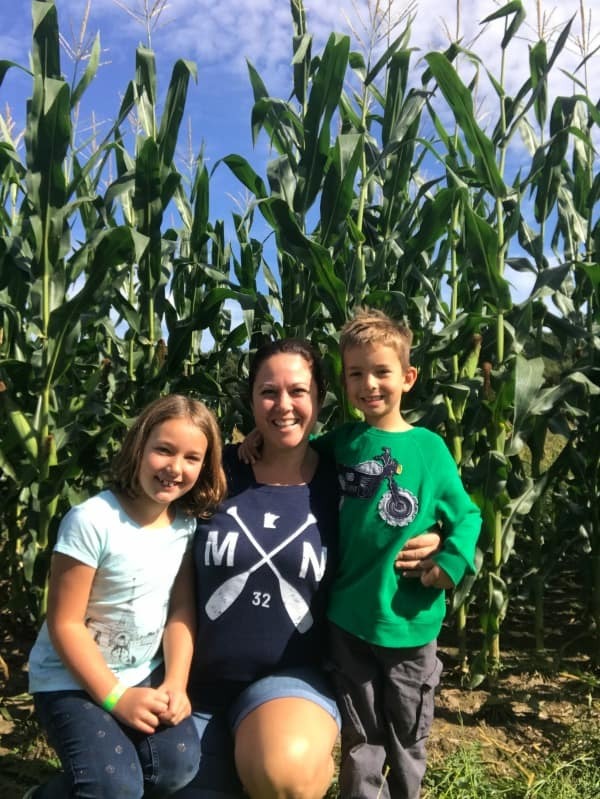 A trip to the pumpkin patch didn’t change our life situation, my husband was still injured, still in pain, and I would return home to reassume all the household duties, but here is what that trip did for me, it gave me moments of joy which in turn reinstilled my hope. I could do another day. I could keep going. We are all struggling and facing challenges in our lives, no matter the size, it takes a toll on moms. Remember to take time for simple joys they do unexpected and wonderful things for us when we are struggling. The next day we had our first family meal together and my husband was able to sit in a chair with us for a few minutes. That was huge progress! We are still working through his injury, but we are going to get through it. Eating together as a family has become a blessing and something to celebrate. 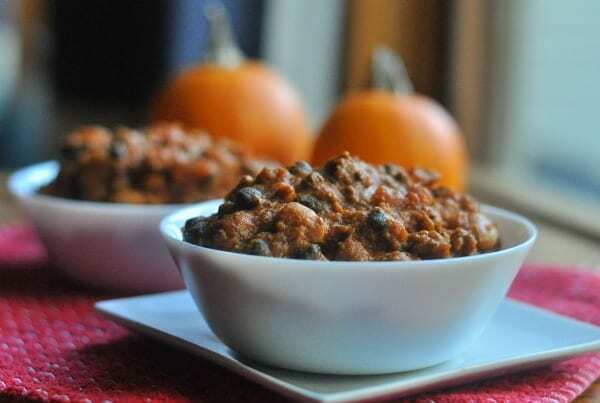 I created this Pumpkin Chili as a kid-friendly, fall weeknight meal that we could enjoy together. 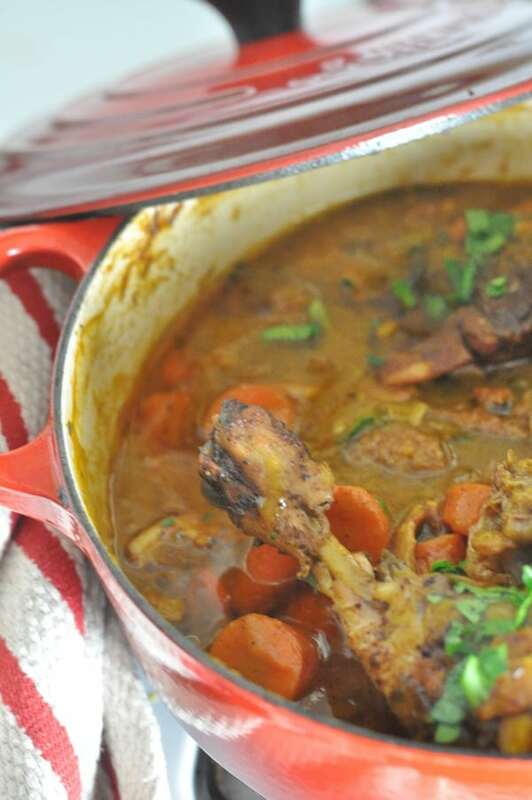 When I served it to my family, there were seconds and lots of “Yums!” It’s a great meal to enjoy with your family and celebrate your simple joys. What are your simple joys right now? I shared a few of mine in my email newsletter. I’d love to hear yours, leave a comment and tell me how you’re doing. Get all of your ingredients out before you start cooking. Measure out all your spices and place them together in a small dish. 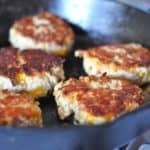 Use a ground beef masher kitchen tool. I LOVE this tool for making chili. Here’s my affiliate link if you want to get one too. Click here to pick one up! It makes making chili so much easier. 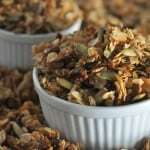 Offer fun toppings! 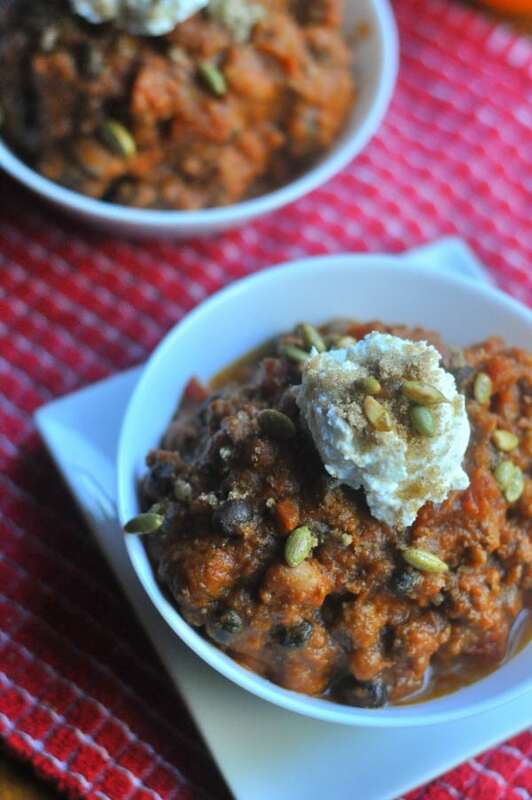 For this Pumpkin Chili, I like to serve ricotta cheese, pepita seeds, and pumpkin pie spice sugar sprinkle. 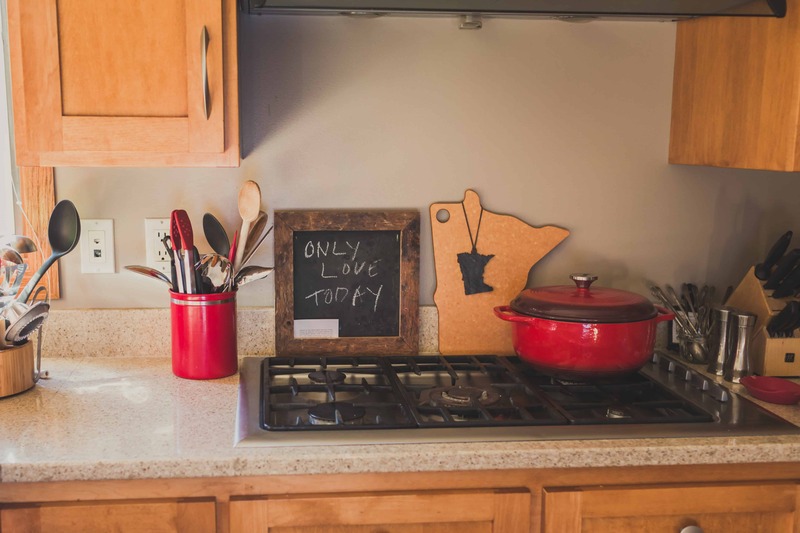 You can also serve cheese crisps, croutons (I love croutons in soup), tortilla strips, or even sesame sticks. 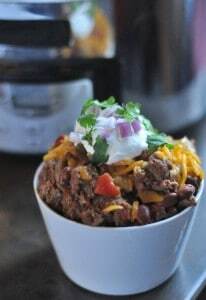 Try making chili in your slow cooker or instant pot (I’ve included directions). I just add the beans at the end. 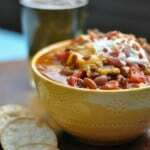 Here’s my Slow Cooker chili recipe. Place 4-5 cups of soup in the gallon bag and lay flat on a cookie sheet. Place the cookie sheet with soup in the freezer and the bag will freeze flat. 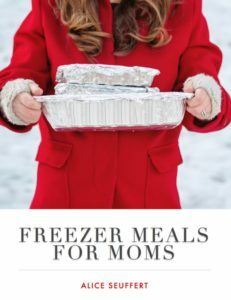 If you love freezing meals, check out my Freezer Meals ebook! 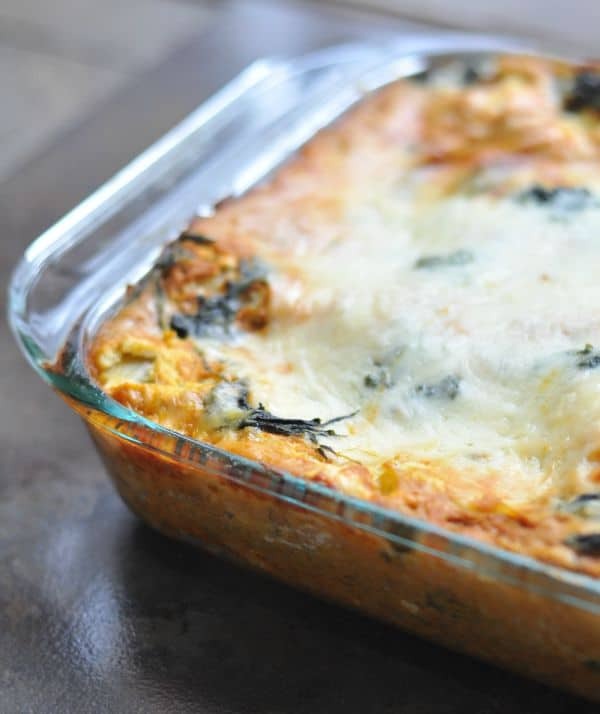 Love Pumpkin Meals? 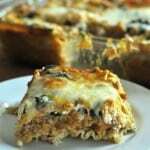 Try my recipes for Pumpkin Chicken and Pumpkin Lasagna! In a large pot, sauté the ground beef, add smoked paprika, garlic salt, pumpkin pie spice, onion powder, chili powder, and 2 TB of brown sugar. Once beef has cooked and is browning, add chicken stock, pumpkin, crushed tomatoes, and diced tomatoes (don’t drain). Allow to simmer for ten minutes. Then add black beans, pinto beans, ¾ tsp salt and the remaining 1 TB of brown sugar. Keep warm until ready to serve. Top with ricotta cheese, Pepitas, and Brown Sugar and Pumpkin Pie Spice Sprinkle (directions below). 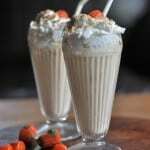 Brown Sugar and Pumpkin Pie Spice Sprinkle: ½ cup brown sugar and 2 tsp Pumpkin Pie Spice (sprinkle a small amount on each serving). Freezing tip: Label your gallon bag with, “Pumpkin Chili.” Place 4-5 cups of soup in the gallon bag and lay flat on a cookie sheet. Place the cookie sheet with soup in the freezer and the bag will freeze flat. 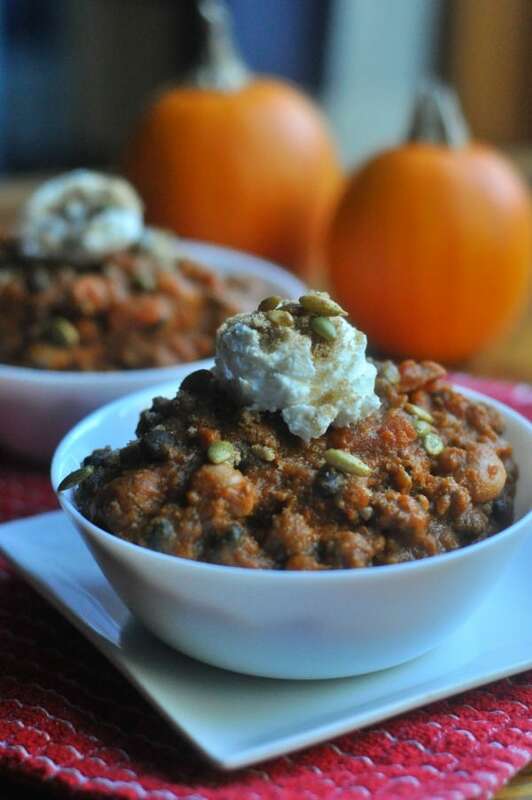 Instant Pot Directions: Combine ground beef with smoked paprika, garlic salt, pumpkin pie spice, onion powder, chili powder, and 2 TB of brown sugar. Place 2 cups of chicken stock in the Instant Pot and then add the beef mixture. Add the pumpkin, crushed tomatoes, and diced tomatoes (don’t drain). Stir to combine. Set to sealing and cook on manual for 20 minutes. 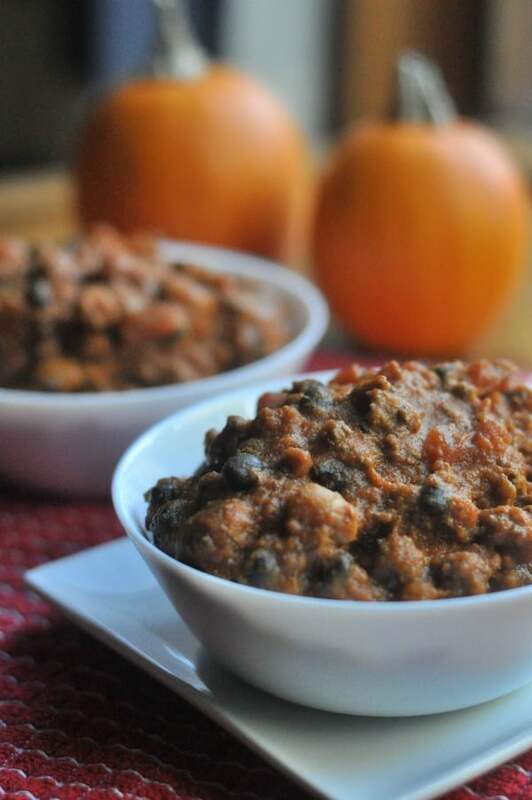 When finished, do the quick release and then add black beans, pinto beans, ¾ tsp salt and the remaining 1 TB of brown sugar. 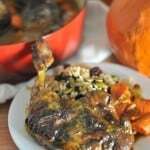 This entry was posted in Soup and tagged fall, family, football, kids, pumpkin, soup, Thanksgiving, weeknight by Alice Seuffert. Bookmark the permalink.